Sinn Féin National Chairperson Declan Kearney. 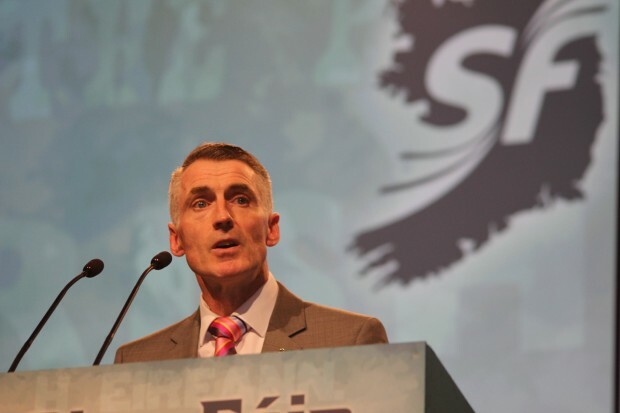 Any balanced debate on the origins of the Civil Rights Movement is welcome but that cannot be achieved though historical revisionism, Sinn Féin National Chairperson Declan Kearney has said. The South Antrim MLA sparked debate about the origins of the Civil Rights Movement following his recent blog which outlined the role played by republicans in the start of the civil rights campaign and the inspiration they provided for it. The article sparked a backlash from political opponents of Sinn Féin and led to considerable debate on social media, with many posters sharing images showing leading republicans at some of the earliest civil rights marches. Following the debate, Declan Kearney said many people, including republicans, were involved in establishing the Civil Rights Movement. "The fact is that republican activists who helped form and organise the Civil Rights Movement remain prominent members of Sinn Féin. "The history of the Civil Rights Movement demonstrates that it had multiple parents and many children. "Any balanced debate on its origins is welcome. That is not served by interventions based upon historical and hysterical revisionism, or political sectarianism," he said. The Sinn Féin chairperson also said the coalitions that led to the formation of the Civil Rights Movement are needed today in the campaign to ensure a rights-based society in the north. "Today the work of the Civil Rights Movement remains unfinished. Rights in the north continue to be denied. "The coalitions which built the Civil Rights Movement and secured the peace process are now required again to ensure full implementation of the Good Friday Agreement and to establish rights based political institutions in the north," he explained.